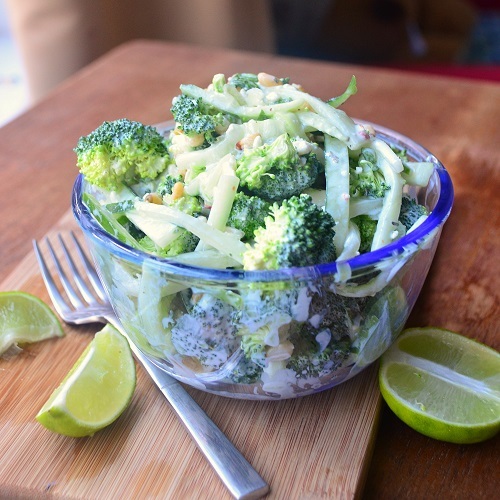 I’m sharing my new broccoli salad today! 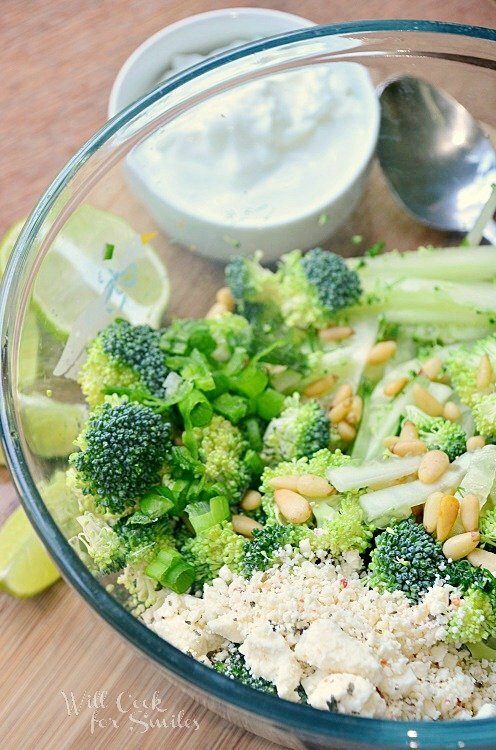 This salad is very “cool,” it’s made with broccoli, cucumbers, pine nuts, mint, Greek yogurt and more goodies! 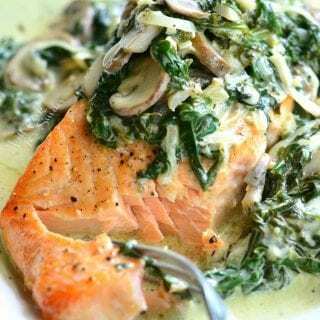 This is another recipe that was brought to you by the demand of my Facebook fans. I had so much fun letting the fans choose the recipe to post last time, so I decided to do it again. I gave them a choice between new French Toast recipe, Flatbread grilled sandwich and Broccoli Salad. The majority chose Broccoli Salad, but you already know that! 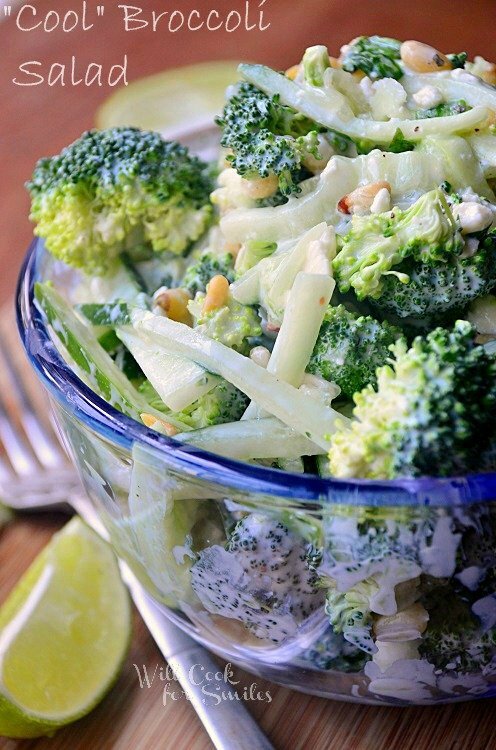 I love this broccoli salad. I may have only made it a couple of times but I love it already. It’s refreshing and filling, which is perfect for a hot summer afternoon. 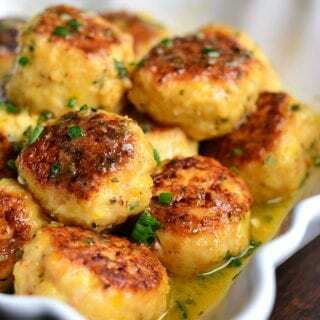 It would be a perfect dish to bring to a barbeque party too. This broccoli salad is very “cool.” No, it doesn’t wear leather and bumps a jukebox with it’s elbow to make it play. (I don’t know why I went to the Fonzie reference, that was just the first thing to pop into my head.) This salad is “cool” because it’s cooling and refreshing. It has broccoli, cucumbers, Feta, Greek yogurt and mint. It’s great when it’s first made but even better after sitting in the fridge for a couple of hours. While sitting in the fridge, the flavors get a chance to marinate for enhanced flavor. 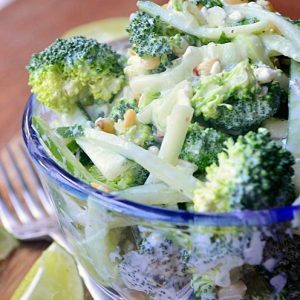 This salad is very "cool," it's made with broccoli, cucumbers, pine nuts, mint, Greek yogurt and more goodies. 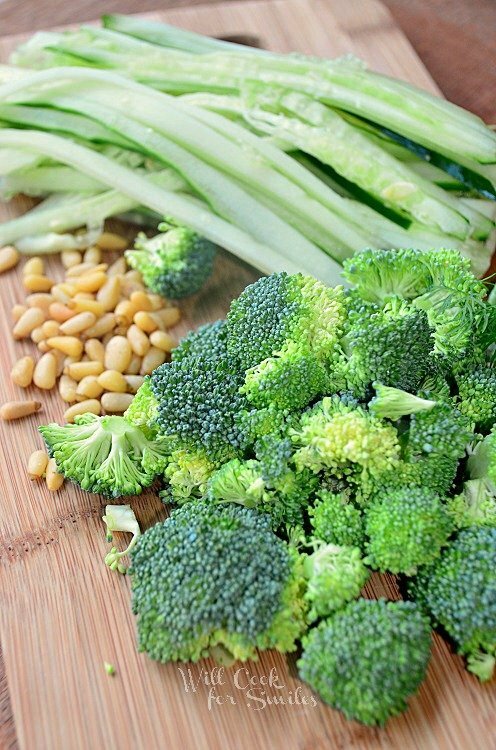 Cut the broccoli florets from the stem and chop them into smaller pieces. Slice the cucumber into straws. 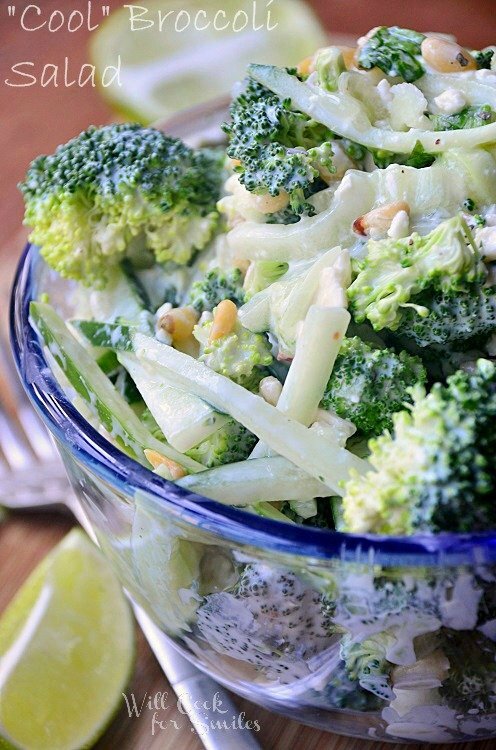 In a large mixing bowl, combine broccoli, cucumber, Feta, pine nuts, green onion, dill weed, mint, salt and pepper. Stir until mixed together. 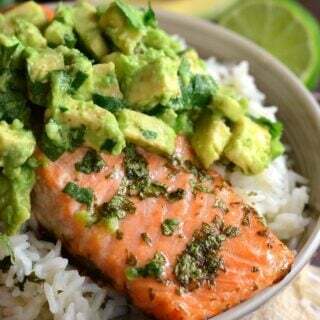 In a small bowl, mix Greek yogurt, mayo, sugar and lime juice. 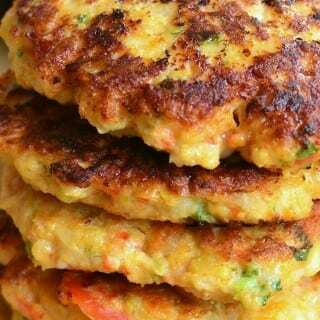 Mix the sauce into veggies until all veggies are evenly covered. I recommend letting it sit in the fridge for a couple of hours before serving. Stir again and serve! OH yes….this is definitely a salad to be made in my house…and soon!! I”m not a fan of Greek yogurt but I have been getting used to it. 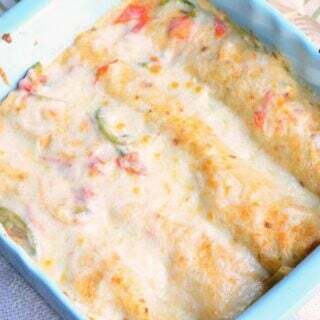 You can substitute sour cream if you like that better. It doesnt help that i’m reading this while i’m hungry. That salad looks very good i’ve pinned this to try and new follower. Great recipe for all those Summer cookouts! Thanks Lyuba! Thank you so much, Mackenzie! Love adding new salad recipes for summer! Pinned this! Visiting you from Strut Your Stuff Saturday Link Party and already following you via Bloglovin’! Great idea to let your FB fans choose! We would love to have you join our link party. It is open for another 5 days. The idea of mixing the textures of broccoli and cucumber sounds so refreshing. This salad looks delicious Lyuba! I love broccoli! This salad made my mouth water! I am featuring you today from last week’s All Things Thursday Blog Hop #2. I hope you’ll link up your greatness again tonight! Have a super day! Thank you so much, Nici! 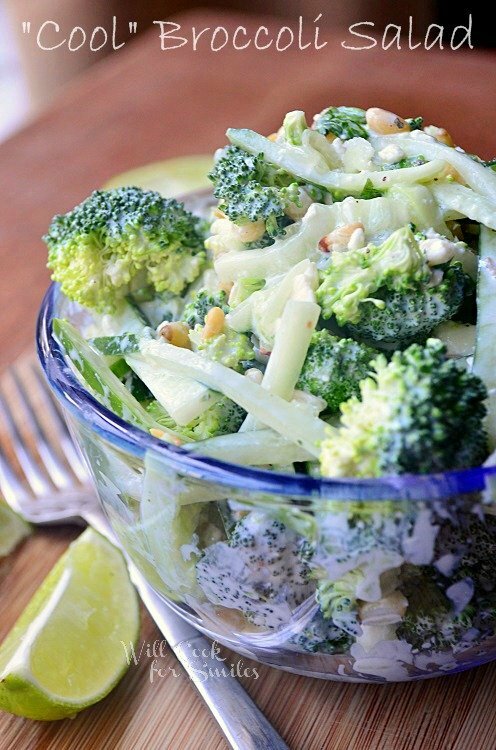 I love broccoli and this sounds like a delicious salad! Pinning this to try out soon! I had fresh cucumber & broccoli from the garden of a friend whom I was house-sitting for…. 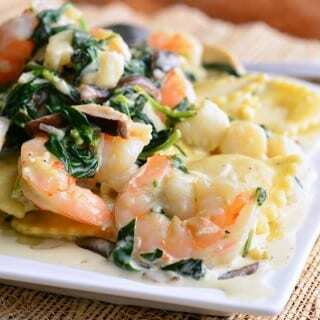 this recipe made the most of the two garden flavors and added a “cool” touch to them. I substituted flavored yogurt (pomegranate Tilamook already in the fridge) , bottled dill weed, and Mozzarella for Feta (I added a bit more salt to make up for the loss of salt from Feta). It tasted amazing even though I didn’t have; onions, mint or pine nuts. Worked much better for the bitter cucumber skins associated to the variety planted (don’t skin your veggies people; that is where the vitamins are!) then a typical vinegar/oil dressing. Thank you Lyuba! I’m so glad you liked it. This sounds great version and I must try it! Hi there! You can use other herbs if you don’t like dill weed. Try cilantro, it has a great fresh flavor.